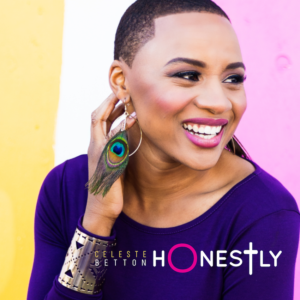 Celeste Betton from Team Pharrell on Season 9 of The Voice is releasing her debut album, “Honestly”! The new album, which comes just 3 years after her time on The Voice, features her debut single, a cover of Matt Redman’s 10,000 Reasons, and a new single penned by the songstress herself, “Trust”. “Trust” includes a sample of Kim McFarland’s “In My Name”, with the famous lyrics “Just put your trust in me” ringing all-throughout the chorus. Tackling every day issues from paying the bills to seeing gun violence claim the lives of innocent people far too regularly, Trust deals with practical everyday issues that have the potential to rob one of their peace, but the voice of God remains in the background singing over and over again “Just put your trust in me”. The song carries a nice, soulful groove that reminices the 90’s. It feels very nostalgic. “ With the way the world is going, it can be hard to find a reason to place any confidence in humanity. My hope is that TRUST will give voice to what people are feeling, but also serve as a reminder that God is in control in spite of the facts, and what we see,” says Betton. Honestly is currently available on all digital retailers. I would love to introduce Celeste to your audience and share her current single with them. She is also available for interview to talk about life on “The Voice”, and the journey to completling her debut album. For all media inquiries, please contract me via the info provided below. In 2015, Ozark, Alabama native, Celeste Betton, quickly became a fan favorite after moving Missy Elliot to tears during her Battle Round rehearsal, where she sang Ain’t No Mountain High Enough with her teammate, Mark Hood. That performance was used to preview the Battle Rounds, and received over 2 Million views on Facebook alone in less than 24 hours, and was deemed by judges Adam Levine and Gwen Stefani as one of the BEST battle rounds in the history of the show (Check out that performance below). While Celeste was eliminated after the Battle Rounds, she became the inspiration behind the show’s newest feature, #CoachComeBackArtists, and for the 1st time in the history of the show, each coast was afforded the opportunity to bring back one artist (who had previously been eliminated in the Battle or Knock Out rounds) for a 2nd chance at being coined The Voice. While on the show, judges stated that she had an infectious attitude during her performances (Gwen Stefani), a superb tone (Adam Levine) and a “cirque du soleil” approach with her note choices (Pharrell). Since appearing on The Voice, she’s appeared on NBC’s The Today Show, had her single 10,000 Reaons featured as the Flat Out Hit of The Week on The Willie Moore Jr. Show, and has opened up for artists such as William Murphy and Crystal Aikin. Stemming from a musical family, Celeste began singing at the tender age of 6 under the influence of her father, who would often teach her various harmonies and melodies. Celeste’s passion for music moved her to sing in church and school choirs throughout her adolescence and act in local musicals in her community. In fact, she was the first African-American to get cast for a lead role in her high school musical. Her voice alone even allowed her to win an opportunity to sing the National Anthem at the 2004 U.S. Open in New York. During her collegiate years, singing background for multiple artists began to open more opportunities for her to showcase her talent. Vashawn Mitchell, Grammy nominated gospel artist, asked Celeste to record the lead vocals for “God Cares For You”, an encouraging, uplifting record off of Mitchell’s 2011 album, “My Songbook.” It wasn’t long before Celeste began receiving opportunities to showcase her voice nationally and international. Celeste would go on to win 2nd place on Operation Rising Star in Fort Stewart, GA (the military’s version of American Idol). Extremely blessed by her experience on The Voice, Celeste is now ready to share her own music with those who are ready to receive what she has to offer. This entry was posted in Gospel, Reviews and tagged Celeste Betton, Pharrell, The Voice by Kris Patrick. Bookmark the permalink.